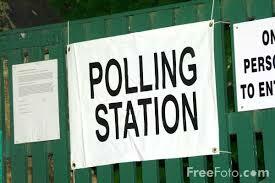 One thing that is known about the forthcoming general election in the UK is that it will take place on Thursday 7 May 2015. The Fixed-term Parliaments Act 2011, whatever its merits or demerits, has provided us with relative certainty in that regard. One thing that is not yet known, at the time when I am writing, is whether there will be a series of party leader debates on television, comparable to what were called the “Prime Ministerial Debates,” when broadcast in 2010. By the time you read this, the answer may have become clear. The broadcasting companies may have reached an agreement with parties sufficient for them to go ahead, or just possibly they may go ahead even if they have not achieved the major players’ agreement. Or, if one or more of the main parties cannot be satisfied over the proposals, a comparable event may not occur. In the USA, presidential election debates were first and famously arranged for television in 1960, when Vice-President Richard Nixon was the Republican nominee and Senator John F. Kennedy was the Democratic contender. The clean-cut and charismatic Senator outpointed a swarthy and visibly perspiring Nixon on screen, and went on to win the election. Political image-making assumed greater importance. The role of the media became more central in elections. In spite of, or perhaps because of, the significance of the 1960 event, there were no further presidential debates on US television until 1976, although they may be said to have become customary since, as they have occurred for every election from then. In Britain, consideration was given to arranging ‘head to head’ debates at every general election from 1964, when the Opposition leader Harold Wilson first mooted the possibility. The broadcasters would have been eager. However, on each occasion before 2010, one of the main party leaders was disinclined to participate in such a ‘head to head’. The conventional wisdom had it that an incumbent in office had more to lose than to gain by taking part in programmes that would heighten the profile of challengers. In 2010, with Labour in office but falling behind in the opinion polls, the Prime Minister was perhaps more ready to gamble on what could be a game-changer. For whatever reason, Mr Gordon Brown was willing to take part in a set of three programmes during the run-up to polling day, produced by ITV, BSkyB and the BBC respectively. The arrangements agreed allowed (perhaps generously) for the Liberal Democrats’ leader to be given equal rights to Mr Brown and Mr Cameron. The agreement over the format and conditions was immensely detailed, with 76 separate rules applying to the programmes. Some may be surprised to learn that the leader debates in 2010 were the first to come to fruition in Britain. There had been forerunners in the shape of debates involving the leaders of the largest parties in Northern Ireland, Wales and Scotland, broadcast in those parts of the UK only. There had also sometimes been broadcasts involving rival party spokespeople on financial affairs or some other field. Some programmes of these types will very probably be made in 2015, whether or not “Prime Ministerial” debates can be shown on the main television channels. 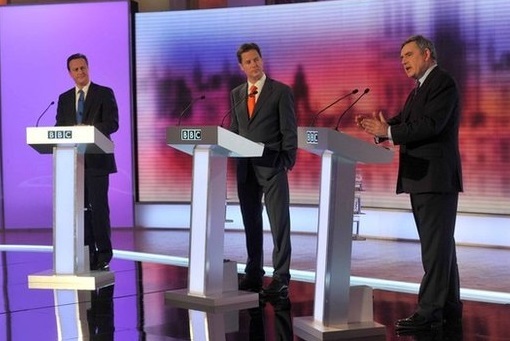 In 2010 the televised debates featured three party leaders, but excluded other parties, an omission that was perhaps easier to defend with their branding as “Prime Ministerial Debates”. However, there are naturally liable to be arguments and issues over rights to participate, especially if the programmes enjoy greater prominence. Should the Scottish National Party (who have 6 seats in the current House of Commons) or Plaid Cymru (with 3) or the Democratic Unionist Party (with 8) be allowed to feature in UK-wide programmes or be confined to programmes broadcast only in those nations or regions where they contest seats? Should UKIP (2 MPs) or the Green Party (1), whose candidacies are not so geographically limited, be able to participate? What criterion, or combination of criteria, should be used to determine entitlement? These quandaries are not easily resolved and difficulties, genuine or professed, may be advanced to block or complicate any agreement. The difficulties are aggravated because of the weakening of the two-party system that has been predominant in British politics (encouraged by the ‘first past the post’ electoral system). Labour and the Conservatives, who together received 96% of the votes cast at the 1955 general election, in 2010 received 65%. There is evidence now of voters being disenchanted with the three main parties (if indeed the Liberal Democrats are treated as the third). There are several aspects of these matters which may interest public lawyers, and one of those is the potential for litigation. The BBC (under its Royal Charter and Licence) and other broadcasters (by the Communications Act 2003, s. 319) are legally obliged to preserve “due impartiality” in their coverage of political controversy. Aggrieved politicians or parties have sometimes gone to court, alleging unfairness. For example, in one action brought by judicial review, the Referendum Party (which had 547 candidates contesting seats at the 1997 general election) argued that their allocation of party election broadcasts on television (being given only one) was irrational and unfair. However, they were unsuccessful: R v BBC and ITC, ex p The Referendum Party  COD 459. So far as leaders’ debates are concerned, there was litigation by the SNP in 1997, over their prospective omission from televised leader debates if they happened (which in the event they did not): Scottish National Party v Scottish Television and Grampian Television 1998 SLT 1395. The party was unsuccessful then, as they were again in 2010, when their exclusion was real: Scottish National Party v BBC 2010 SC 495. On both occasions, the judges held that it was reasonable to take the totality of a broadcaster’s coverage into account. However, there is always the possibility that a party feeling aggrieved may resort to judicial review, perhaps as much for political reasons as anything. Whether or not we have televised leader debates in 2015, public lawyers should know that another form of head to head occurs regularly (and is televised), and that is Prime Minister’s Questions in the House of Commons. The occasion takes place on Wednesdays at noon for half an hour when Parliament is sitting. Some of the rules for the event are in common with ‘ordinary’ Question Time, when other Ministers answer for government responsibilities, but special rules and conventions apply to the Prime Minister’s appearance, some of which have the effect of allowing a confrontation with the Leader of the Opposition on territory chosen by the latter. These contests may reveal something of a leader’s grasp of affairs and personality, but they tend towards the theatrical, not to say pantomime, and have in fact become rather unedifying spectacles. When making a comparison with the United States, the point ought to be made that we do not have a Presidential system of government in the United Kingdom. Where the President is elected by the people, through Electoral Colleges, it makes much more sense for the two candidates to face eachother and the Nation on the television networks; the more so in a country where the two party system is firmly entrenched and third party candidates rarely progress far, such as the USA. The objection to the whole exercise in the UK is that we do not elect the Prime Minister; we vote for a candidate to be our local Member of Parliament and the leader of the majority elected party, or in the case of a Coalition, the leader of the larger party of the two, becomes Prime Minister. Leaders of Parties are also elected nowadays, of course, through a quite separate procedure within the ranks of each Party’s membership. At the commencement of the memorable broadcast in 2010, David Dimbleby introduced ‘three men who wish to be Prime Minister’. That was a questionable statement, implying, as it does, a Presidential system, but also because Mr Dimbleby failed to mention that one of the three, Mr Nick Clegg of the Liberal Democrats, could not conceivably become Prime Minister, as his Party would not be able to gain nearly enough seats. In the event, Mr Clegg came across very well to the watching millions and the Liberal Democrats’ star rose; not so high as to allow them to progress beyond their usual third place, but they did gain seats, at the expense, mainly, of the Conservatives, who were deprived of an overall majority. The result was a Conservative / Liberal Democrat Coalition government, the first Coalition in the UK since the Second World War and Mr Clegg became Deputy Prime Minister, which, whilst it is arguably not a real government post, did place him at the Cabinet table and at the heart of government for five years. My question is: do we have to thank (if that is the right word) Mr David Dimbleby and the BBC for shaping the government formed after the 2010 election? Is that a Public Service Broadcaster’s function? The answers, I submit, are yes and no, respectively. Returning to the forthcoming election in May 2015, we may be faced with a breakdown in support for all three leading Parties, especially, ironically, the Liberal Democrats, but the small parties, UKIP, the SNP (which also has a narrow Nationalist focus) the Greens and the rest are truly minnows by comparison. By giving them airtime, in direct confrontation wit the larger party leaders, broadcasters would be providing them with a vastly concentrated voter audience and arguably, I would suggest, doing for them what Mr Dimbleby and the BBC did for Mr Clegg in 2010. Such broadcasts are unlikely, in my view, to raise the level of debate above the “pantomime” at Prime Minister’s Questions in the House of Commons, Professor Munro describes. There is a very good case for not holding the debates at all.